Can the USA Film Festival Be Saved From Itself? Once bold and adventurous, it's become little more than a pest, eclipsed by the larger Dallas International Film Festival. In 2006, Becca Finley, the new programming director of the USA Film Festival, could tell everything was about to change. As she was preparing for the 36th edition of Dallas’ historic film festival, one of the oldest in the United States, rumors began circulating that Michael Cain, the director of the tiny Deep Ellum Film Festival, was about to strike a big deal with the American Film Institute to launch a new Dallas film festival. It didn’t take much knowledge of the industry to deduce, as Finley did, that an AFI film festival in Dallas, especially one planned for the spring—when USA holds its own event—would trample on the elder festival’s territory. After the 2006 festival was over, Finley learned that a few board members shared her concerns about the direction of the festival and were interested in discussing how to change the organization, especially in light of the pending AFI Dallas launch. She organized a meeting, but soon word made its way back to the USA Film Festival’s longtime managing director, Ann Alexander. Finley was invited out to lunch and shortly after told her contract was not going to be renewed. Finley says she wasn’t surprised that she was let go, even though the 2006 USA Film Festival was critically well-received. It wasn’t always this way. If Dallas is a city that understands itself as always being on the cusp of becoming something great, the USA Film Festival is something of an inverse vision, a 42-year-old organization that was great at its birth but has been on the cusp of extinction for 30 years. Launched in 1971 by Dallas-born filmmaker L.M. Kit Carson and SMU professor Bill Jones, the festival was built to showcase adventurous American independent films like the one Carson made with Jim McBride four years earlier, David Holzman’s Diary. Carson’s vision proved foresighted. The 1970s brought an explosion of bold new American filmmakers, and by showing movies by Robert Altman, Steven Spielberg, Dennis Hopper, and others, the USA Film Festival built a unique identity in a less-than-crowded national film festival scene. Those were the days when Jack Nicholson and Dennis Hopper rode their Harleys into Big D bearing Easy Rider. But by 1979, critic David Dillon wrote in D Magazine that atrophy had set in, and the festival had come to cater too much to its Park Cities donors who paid for face time with flown-in celebrities. In 1986, saddled in debt, the festival brought in a new managing director, Ann Alexander, who rescued the organization from the brink. Alexander has stayed on with the USA Film Festival ever since and has become something of an enigmatic force pulling the strings of the festival’s operations and programming. On the one hand, she oversaw a decade in the 1990s when critics began ringing the death knell for the festival once again, calling the programming “flabby, mediocre, and slapdash” and a “low-rent, forgettable Hollywood product.” When the media wasn’t bashing the programming, they were publicizing contentious internal conflicts. The Dallas Observer published a story in 1998 that reported leaked internal memos, legal disputes, threats to journalists, and embezzlement allegations. Stoking a reputation as combative and defensive, Alexander denied the alternative weekly’s writers access to festival screeners and screenings the following year. But Alexander has also kept the festival solvent for an impressive period of time, and in the early 2000s, she hired a couple of artistic directors who seemed to improve the quality of the festival’s offerings. 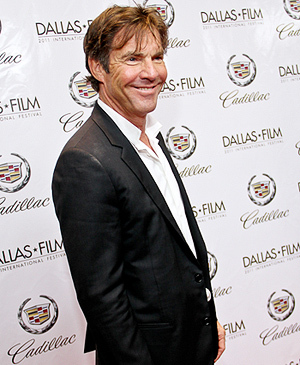 The AFI Dallas International Film Festival arrived in spring 2007 with heavyweight Hollywood connections in tow, thanks to AFI and a wheelbarrow full of corporate sponsors. Positioning itself just a few weeks before its rival, AFI pinches movies that in years past would likely have popped up at the USA Film Festival. And once the hungrier, wealthier upstart is done filling its program with more than 100 films, what could possibly be left for the USA Film Festival? Since the launch of AFI Dallas, which became the Dallas International Film Festival in 2010, we have seen the USA Film Festival’s spring program shrink and its revenues and spending drop. According to the latest available 990 tax forms, though the festival is financially stable, maintaining a cash balance of about $100,000 through the decade, the festival’s annual revenues dropped 18 percent between 2001 and 2009, and annual membership income decreased by 30 percent. During that same period, the festival averaged operational deficits of $20,000 per year but has managed to stay in the black in part by cutting operational expenses by 27 percent, or around $100,000 after 2006 (a fiscal feat which Alexander won’t explain, merely offering that it was the result of increased “in kind” donations). And even though the festival did post positive net income of $2,495 for the fiscal year ending in June 2010, if the festival continues to burn through cash at $20,000 per year, it will deplete its net assets within five years. As for the programming, in recent years, the slender spring schedules (down to just 20-odd films) have begun to look again like the notoriously dismal festivals of the 1990s. In 2011, there were lots of soon-to-be-released movies (The Trip, Drive Angry, The First Grader, Queen to Play, The Perfect Host); some glaringly mediocre fare (Radio Free Albemuth, The Locker, and Pound of Flesh, which was cast as a Malcolm McDowell tribute); and the shorts programs. Not too much to get excited about. The lack of a curatorial voice, both for the spring program as well as for membership events throughout the year, is the reason the USA Film Festival, in recent years, has become an afterthought. And that’s a shame for a number of reasons. The first is that it is one of the nation’s oldest film festivals, and its kind of storied cultural history is rare in Dallas. But the real shame is that, though the Dallas IFF may have played a role, the elder fest is also managing itself into its own irrelevance. Talking to other festival programmers, as well as former employees of the festival, reveals that everyone has a story about Ann Alexander. Numerous former USA Festival employees talk of a strained work environment characterized by a passive-aggressive management style and bewildering internal decisions. Festival programmers talk of a director with a mercurial temper who is reluctant to cooperate or collaborate. I have tried numerous times since 2010 to communicate with Alexander as well as with board members about the festival, to learn about their programming strategy and hear what they think about the arrival of the Dallas IFF on the scene. But Alexander refuses to take phone calls, saying that she doesn’t do interviews between the months of December and April because of how busy she is, and she insists that all inquiries to board members come through her. But she will pen lengthy late-night emails that arrive from a generic USA Film Festival address; calls to board members also result in emails from that same address. When I reached out to board member Joyce Slocum, who is now a top executive at National Public Radio, NPR’s publicists gladly scheduled a phone interview. But before it took place, Alexander emailed me again, instructing me to send all questions for Slocum to that same USA Film Festival email address. Finley says this kind of evasive and aggressive approach is business as usual for the USA Film Festival. Before the pending AFI Dallas launch, Finley says that Michael Cain tried to reach out to the USA Festival, but was met coldly. Weiss says that Alexander tried to turn the local film community against the new AFI Dallas Festival by attacking Cain. What concerns me is not that the USA Film Festival will slowly lose funding and quietly fold, but rather that it will continue to operate as it has the last few years, without a clear artistic vision, the festival’s director holding a tightly connected group of funders close to the vest while churning out mediocre offerings each spring; staging its best offering, the weekend-long KidFilm Festival, in January; and tagging its name to promotional screenings of new studio movies throughout the year. Not only is that model of limited relevance to the city’s cultural landscape, but it stifles the history of a storied local arts institution that is too bound up in Dallas’ cultural landscape to be allowed to stagnate. The problem with calling the USA Film Festival a “year-round” or “50-day” festival is that losing the festival format diffuses its presence and purpose. If there were a more clearly defined vision for what the festival’s programming was striving for, the festival could begin to cultivate a new reputation as a boutique fest built around a strong and specific vision. This has worked for festivals like the Edinburgh International Film Festival, which reinvented itself by dropping the red carpets and focusing on intelligent content, including rotating guest artistic directors (filmmakers like Mike Skinner and Gus Van Sant) to give each year’s fest a unique voice, or even the LA Shorts Fest, which has become attractive for filmmakers in part because of its razor-sharp focus. Neither of these festivals is Toronto or Cannes, but who cares? They find their place in cinematic conversation and state their case. To say the USA Film Festival today doesn’t even have a voice is an understatement. What we can be sure of is that the USA Film Festival will never become the festival it once was, large and encyclopedic; the Dallas IFF has done too good a job stealing that turf. What the USA Film Festival could become, however, is something like it was when it started, bold and adventurous, seeking out films that fall through the cracks of prissier, more populist festivals. All it would take is the kind of rebrand that followed in the wake of the administrative shake-up that has completely transformed another local arts organization once thought washed up: the Dallas Contemporary. But bold and adventurous change takes bold and adventurous leadership—or, at the very least, USA Film Festival board members who can bring themselves to admit out loud that things have changed. The third act may be over, but this picture’s got a fourth one. Someone just has to make it.